I wasn’t quite sure what I wanted to do with the piece when I started it, but after making it and realizing how special it was, I decided to turn it into an advent calendar. ….. and then two years went by…. I finally buckled down this year and said no more! It is time to finish this up!! 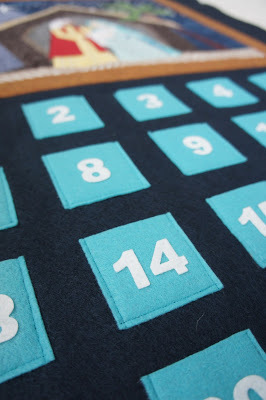 Heavy research into the kind of advent calendar I wanted and the materials I should use, I ended up with this combination of fabric and felt. I went with classic and simple but colors that I love. I am finally ready to let myself use the colors I LOVE rather than the colors I think I should. I think that is what held me back for so long. 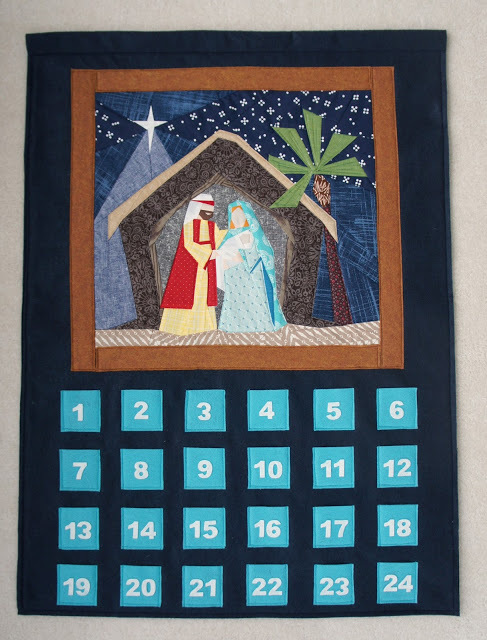 There was lots of stitching on the nativity scene, the felt pockets and the border…and of course the background itself. I made the whole thing with a casing for a rod so that we can hang it. Now I just need to figure out the perfect sayings/drawings/scriptures to go in the pockets. I love this piece so much that I want that part to be just as special. But I kind of need a break again. Here’s hoping I do it in time for next year. And here’s for creating more handmade holidays and creating family traditions! I love that this will be part of our Advent tradition from now on. Very very nice! It's unique and beautiful! What a gorgeous piece! I've done very little paper piecing, but that one is tempting me, because Christmas is my favorite time of the year. You should be very proud; you did a great job, and I'm sure you will discover exactly the words (sayings, Scriptures, whatever) you want for completing it before next Christmas. —"Love"
I have that exact scene hanging in my kitchen. It was stitched by a good friend and it is a treasure! I keep mine up all year long as it is framed beautifully. I love what you have done with yours and I can really appreciate the weight you must feel having finished it! I think it's stunning!!!! Simply stunning. Congrats on all you've learned on your journey. If I had one I'd consider taking the "word for a year" concept and adapting it in some way for each day. I've really enjoyed doing my yearly word for about five years now. Love it!!!! 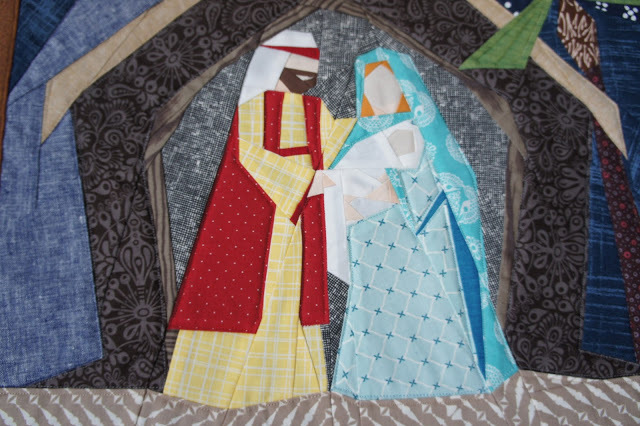 What a fun way to use the beautiful nativity scene Angela! I really love your starry background. The pocket for each day will allow for a lot of fun variations as the years go by. Great work! This is so beautiful. I love that you are taking your time with it to make it just right for your family. Wow! I love it. 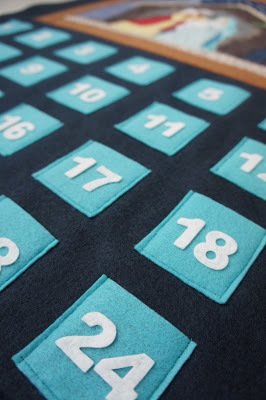 I wish I knew about being able to buy those precut numbers a few years ago when i made an advent calendar- that was the worst and most time consuming part of that project…. It's beautiful, and I think the colors you used for it are just perfect! I'm sure you and your family will love it for many years! 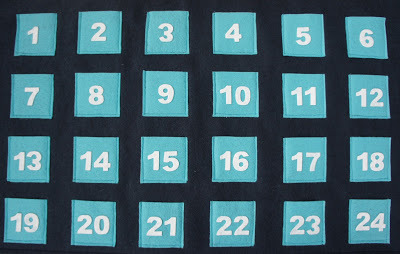 I’ve been thinking (har) about making an advent calendar. I’m glad I’m not the only one who has starter projects in her head. I love your calendar. It’s beautiful!